Instant access to floor plans, shutoffs, evacuation maps and other critical building information during an emergency. 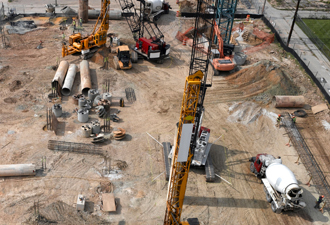 By integrating with customer facility surveillance cameras, asbestos abatement monitoring reports, safety data sheets and more, ARC Emergency becomes the centralized, single repository of building and emergency management information for facility teams. 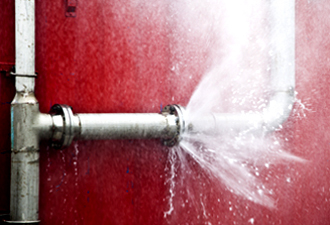 How quickly can your facility team retrieve essential building and emergency management information? Is it mobile and shareable with emergency stakeholders? Watch how ARC can help. 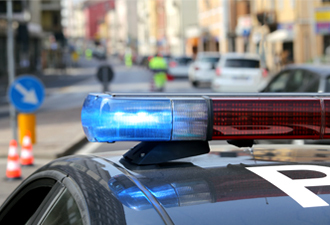 With the increasing frequency of active threat emergencies, facility teams—regardless of industry or facility type—must be prepared to respond instantly to these and other emergency situations. 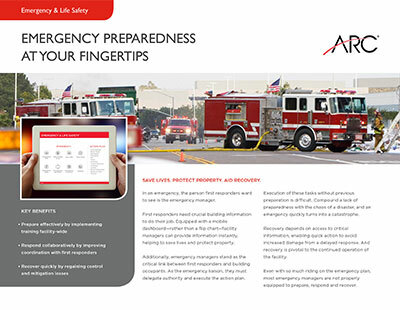 ARC Facilities helps mitigate risk before, during and after an emergency. Quick access to shut-offs means small problems don’t become big ones. With organized information, facility managers gain transparency into their building. Renovation decisions that might trigger code compliance issues are more informed and better executed. ARC makes sharing critical emergency plan information easy–minimizing delays for first responders attempting to act urgently during a crisis situation. Save lives. Protect property. Aid recovery. The fact that we could access our emergency shutoffs in a time of emergency within a few clicks blew us away. How Prepared are you for the Next Emergency?